The Block Can Be Used Many Ways! 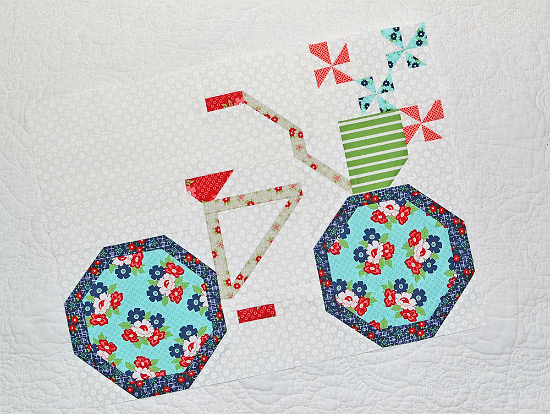 This darling little pieced bike evokes memories of carefree sunny days with a breeze fluttering through your hair. Finish the block off for a sweet mini quilt or incorporate it into a larger project. 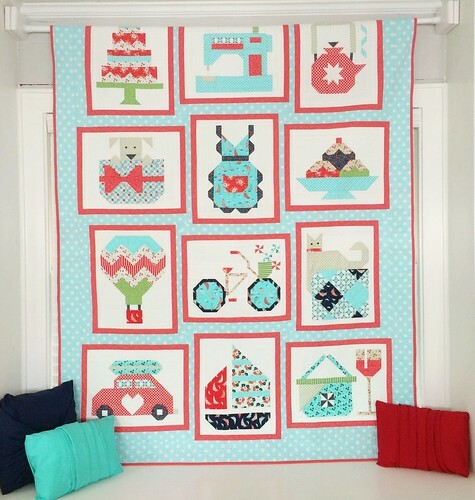 The block is part of the Snapshots Quilt Along presented by The Fat Quarter Shop in 2015 (learn more here) and was designed by Bonnie and Camille. 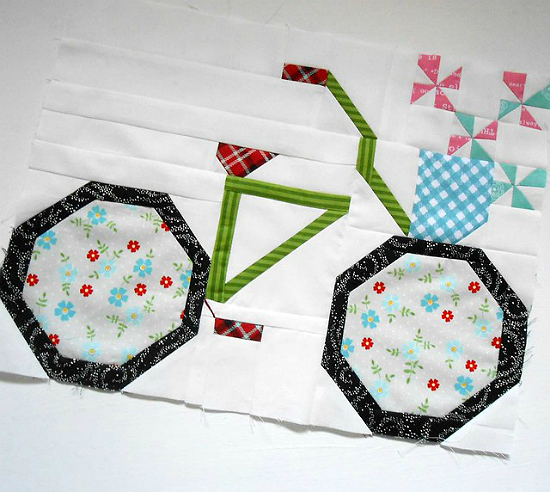 The other blocks in the quilt are wonderful too, but there’s something extra special about the bike. The block is intricately pieced, making it more challenging than some. However, it’s just a series of basic units sewn together to create the design. Take your time and enjoy the process. Block by Greg Jones from Grey Dogwood Studio. The following video shows you how the block goes together. Click here to watch the video at YouTube if it doesn’t play on your device. Once completed, the finished block is 12” x 16”. 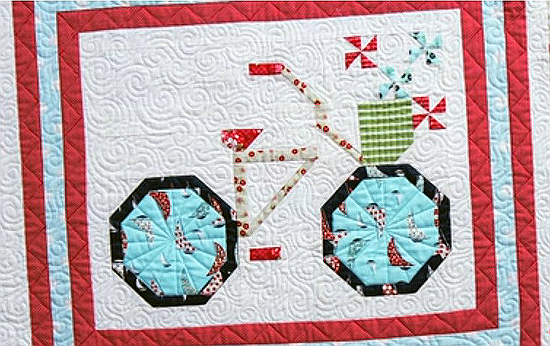 Click here for the free “Like Riding a Bike” block pattern. Sondra from Out of the Blue Quilts has created instructions for a mini version of the block. It measures 6″ x 8″ once completed. You’ll also need the original block pattern for construction information. Click here for the free “Mini Like Riding a Bike” block instructions. You’ll find patterns for all of the blocks in the “Snapshots” quilt at the link below. 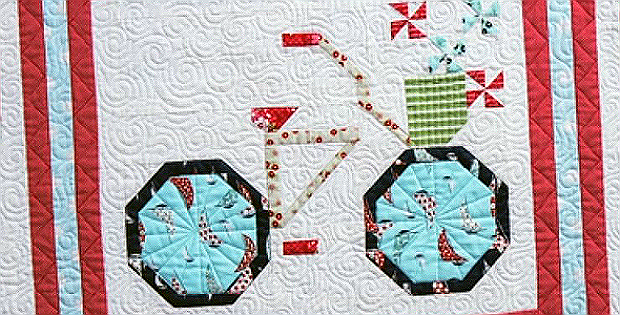 Click here for the “Snapshots” quilt block patterns.